Stunning floral patterns reveal themselves as you scratch and embellish 6 sophisticated works of art. Adding detail with the double-sided stylus is a meditative, creative exercise with a gorgeous end product. 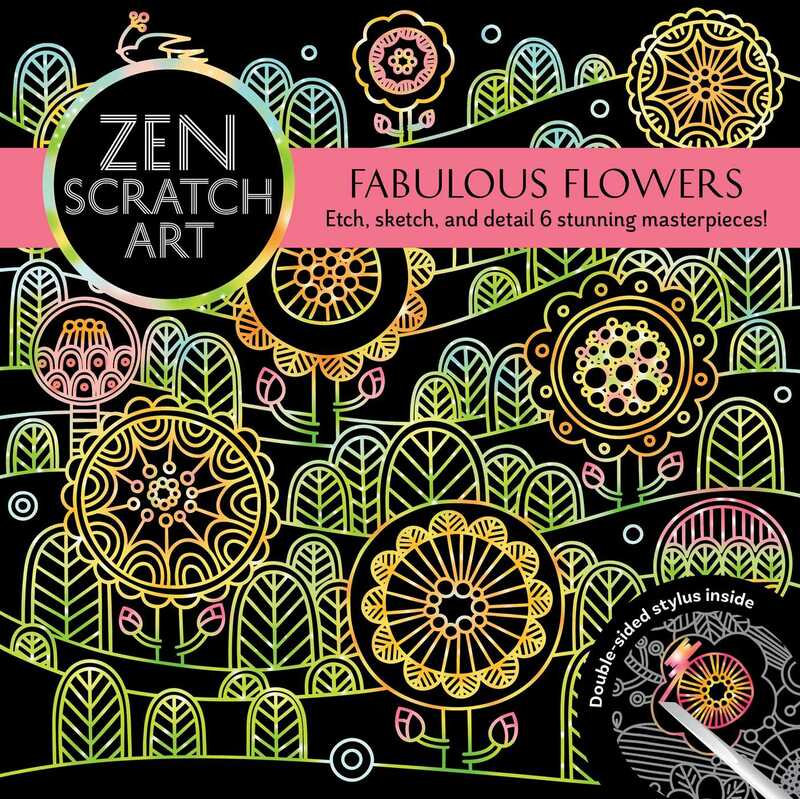 Scratch as much or as little as you like as you unleash your inner artist, to revealing amazing flowers. Yoshiyasu is a hugely popular illustrator in Japan and Europe where she is well known for the characters she's created for Buku Buku Hour, Kuroneko Monroe, and Nyankos—and for fine art exhibitions in Tokyo and London. She comes from a long line of kimono craftspeople and is deeply influenced by "wagara," traditional Japanese patterns.